Railpictures.ca - Matthew Tozier Photo: VIA 698 sits at the Niagara Falls VIA Station with F40PH-2D #6435 on the front end, this train ran with Canadian rock legends Geddy Lee and Alex Lifeson, but they got off at St. Catharines while the train continued all the way to Niagara Falls where it would sit for a few hours before heading back to St. Catharines and furthermore, Toronto. VIA hasn’t ran an actual scheduled passenger train with their own equipment to Niagara Falls since October 25, 2012 but they continue to run an excursion train similar to this usually once a year around October/November. | Railpictures.ca – Canadian Railway Photography – photographie ferroviaire Canadienne. Caption: VIA 698 sits at the Niagara Falls VIA Station with F40PH-2D #6435 on the front end, this train ran with Canadian rock legends Geddy Lee and Alex Lifeson, but they got off at St. Catharines while the train continued all the way to Niagara Falls where it would sit for a few hours before heading back to St. Catharines and furthermore, Toronto. 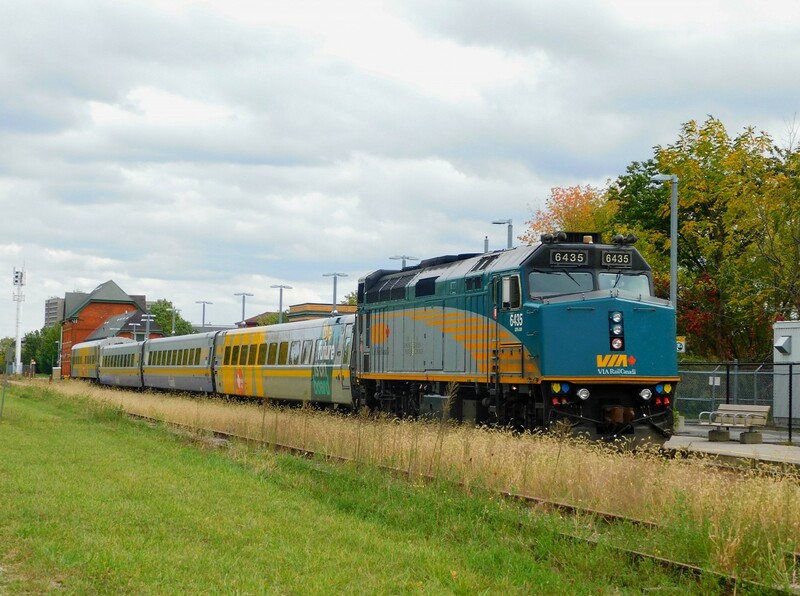 VIA hasn't ran an actual scheduled passenger train with their own equipment to Niagara Falls since October 25, 2012 but they continue to run an excursion train similar to this usually once a year around October/November.